Is Your High Functioning Anxiety Caused by Low GABA or Serotonin? — Eileen Purdy, MSW Is Your High Functioning Anxiety Caused by Low GABA or Serotonin? Is Your High Functioning Anxiety Caused by Low GABA or Serotonin? You gotta like puzzles. Or at least experiments. Sometimes it feels like solving a riddle. Understanding and alleviating your anxiety often requires all three. Even though there has been a ton of headway made in understanding the biological and neurological mechanics of anxiety it seems like there are more people than ever that are still struggling. As with most things, there isn’t one size that fits all so overcoming anxiety relies on a bit of Sherlock Holmes-style deductive reasoning. When it comes to overcoming your anxiety, one piece of sleuthing involves identifying your symptoms pretty specifically. There is good reason to believe that different anxiety symptoms could point to different neurotransmitters with which your body may need additional assistance. Low levels of GABA or serotonin, two neurotransmitters, have been linked to anxiety and are commonly low in many people. These low levels are due in part to chronic stress, lack of certain nutrition, and not having time to exercise. Check out these lists and see if half or more relate to you. Spoiler alert: if you do have low levels of either GABA or serotonin, it is totally doable to increase your levels naturally and without pharmaceuticals! 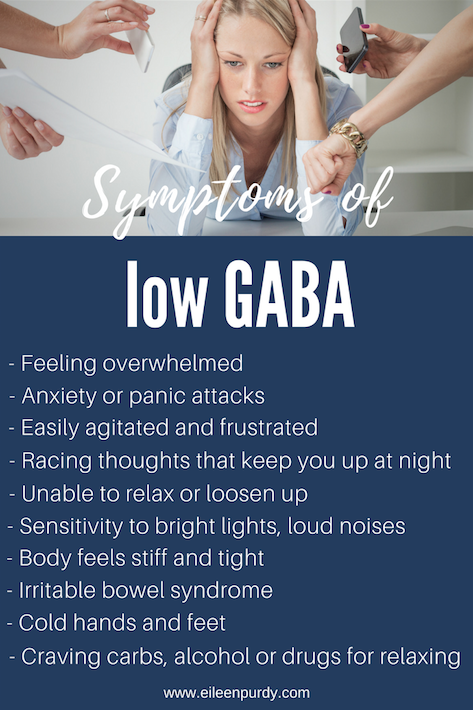 GABA (Gamma-AminoButyric Acid) is an inhibitory neurotransmitter that has a calming and relaxing effect in the brain. 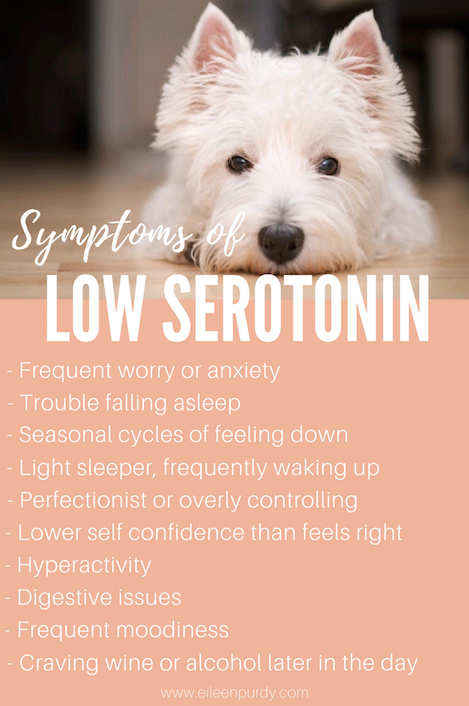 Serotonin is also an inhibitory neurotransmitter that helps us with impulse control, pain relief and is probably best known for its role in helping to create a positive mood. Well, did you find out anything interesting? If you could relate to half or more of the symptoms on the following two lists there’s a chance you currently have low levels of these neurotransmitters and they could be contributing to your anxiety. Find a doctor of natural medicine and/or functional nutritionist to guide you on your next steps to correct this imbalance. Nutrition and dietary interventions, exercise and possibly taking supplements are effective and natural ways to increase levels of GABA and serotonin and will most likely be the first things recommended.